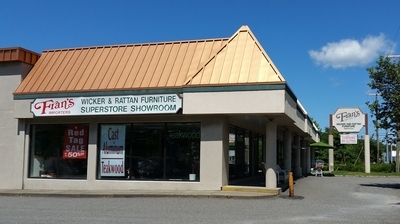 Fran's has been serving the public as a family run business for over 50 years, offering the finest quality wicker, rattan, teakwood and cast aluminum products at our 100,000 square foot showroom. Our wide assortment includes: living rooms, bedrooms, dining rooms, home office, bathroom, children's, porch and patio furniture and much much more. As a direct importer with factories around the world, we are able to offer the highest quality, variety of styles and the best pricing found anywhere. Fran's has over 120 designer fabrics to choose from, including Sunbrella and waterproof Sunbrella rain. Our on-premise custom cushion department allows you to uniquely create or coordinate any room inside or outside your home. Our large in stock inventory guarantees fast shipment of your order. Fran's Wicker and Rattan Furniture delivers anywhere in the continental U.S., and satisfaction is guaranteed.